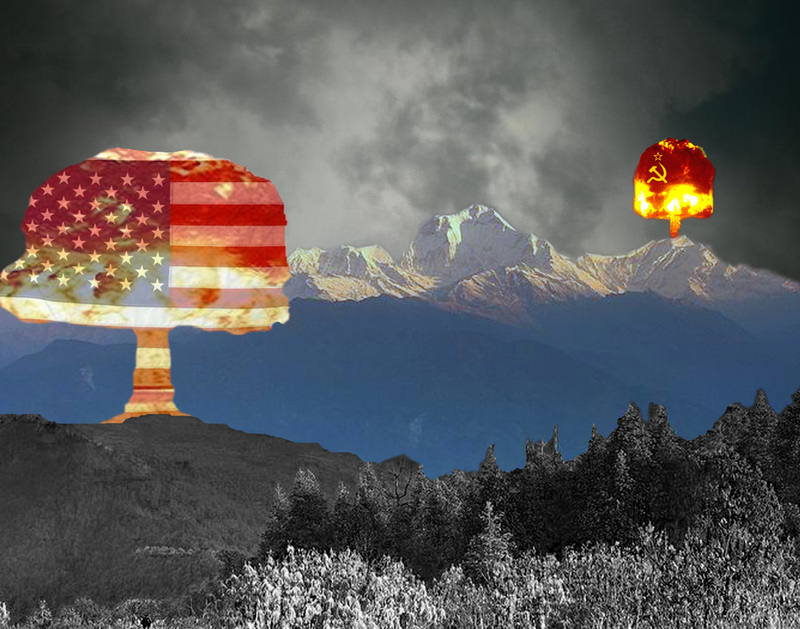 In this digital art piece, I express that during the Cold War, the U.S.S.R. had gotten a hold of atomic weaponry shortly after the United States had. The image is shown with the United States’ bomb exploding first, in the foreground, but at the same time, the U.S.S.R.’s bomb exploding in the background, copying the United States’. The flags on the clouds represent each country. I had found it interesting that during the Cold War the U.S.S.R. had gotten the weaponry so quickly after the United States had. I decided on a digital format because I figured that it may be the easiest way to create the idea I had in my head. In fact, the ideas for the flags on the clouds came from another picture of an atomic cloud that I found on the internet. That cloud had just the American flag on it. Below are part one and part two of our interview with our Veteran, John Tait. Sorry for the odd sideways photos and them not being the same. The first photo is of my group, Liam, Avory, and me. The second photo is of our Veteran, John Tait. Here is a right side up version of the photo of John Tait. Below is the timed in-class essay we wrote on the Gulf of Tonkin Incident. Here is the book we read throughout the project. The second project of the 10th grade year was about the Vietnam War and more specifically the Gulf of Tonkin incident that kick started the war. Plus there were healthy smatterings of truth discussions and all that good stuff. This project required that we write an in-class timed essay, participate in a Socratic seminar about The Things They Carried which is a book about the Vietnam War, and produce an art piece, which we will make after Christmas break ends. Another part of the Vietnam War project we had to do was interview a Veteran. In my group, there were three of us. One of us called the veteran and set up the interview, another person got the app Storycorps and recorded the veteran, and the third guy asked questions. All three of us wrote the questions though. What I found most exciting about conducting the interview, was being able to talk to a real veteran. 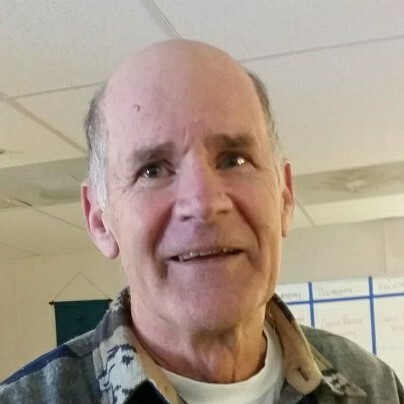 Our interview was with John Tait, who flew cargo planes from the western coast of the U.S. to Vietnam. What I found challenging about conducting an interview was that we had to talk to a real veteran. Vets had been through a lot with the war and after, and it was difficult thinking of questions that wouldn’t offend them. Plus, I’m not the biggest fan of talking to strangers. What I learned about the truth of war, was that everybody's experience was different. John Tait didn’t fight. When most people think of war, they think of the soldiers who fought. John Tait didn’t fight, and it showed me that war is a lot bigger than just fighting on the ground and air with bombs and rifles. On Monday, the seventh of December, we conducted Socratic seminars in class. 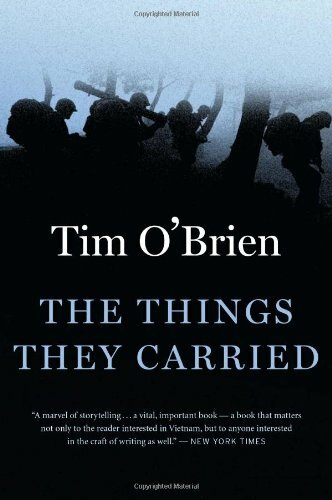 The seminars were about chapters we read in the book, The Things They Carry, by Tim O’Brien. During the seminar, I think that I did very well at speaking. I know that’s what everyone would say, oh they spoke well, but I don’t talk very much if at all during Socratic seminars, so I’m super proud of that. I dropped an intellectual bomb during the conversation, right at the end, which made me feel great. This seminar has been my best I’ve ever had, and I’ve been having them since sixth grade. What I learned about the nature of truth in war in The Things They Carry, is that it’s in the eye of the beholder. It can be happening truth, which is the bare bone facts, or story truth, which is how the author believes it happened and wants the reader to know. I do not believe that there is a real truth to anything, but it’s all on opinion. Our major piece of work we had to complete for this project was the timed in class essay about the Gulf of Tonkin incident on August 2nd, 1964. During the essay planning process, the historical thinking skills I used the most were sourcing and using background knowledge. Knowing who wrote the primary sources helped me figure out what the source was really about, and using background knowledge from other historical projects or smaller side projects we had done before the timed essay I could provide more evidence in the essay. A skill I found a little challenging to apply in my timed essay was reading the silences. I read what was there, and I couldn’t read what everything meant, or what they left out of the sources. What I learned about the nature of war from applying historical thinking skills to the primary source documents was that it was very confusing. There were so many miscommunications and people changing things on purpose, that it seemed like a rigged battle. No matter what the Vietnamese did, the US was ready to go to war. Truth and War. I’ve come to realize that those two words are difficult to use together, yet, are perfect for each other. The book we read, The Things They Carried, was many stories put together. The author wrote about them with so much detail, but then would say they were made up. I believe that the truth of war is the stories. They’re real to the people that write them. They could’ve happened in one way or another. Truths about war are everywhere, or at least, wherever you can find war stories.